The Yoga studio is kept at 72 degrees. Our YOGA classes are are an hour in length & suitable for all levels (unless otherwise noted). Each certified yoga teacher brings her own uniqueness & energy. 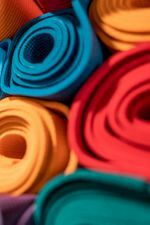 Our classes are a variety of Vinyasa, Gentle Hatha, & Yin style yoga. Vinyasa means “linking movement with breath” & Hatha and yin postures can be held longer to achieve a deeper stretch. We offer modifications, amplifications, and props; this practice is accessible to everyone! 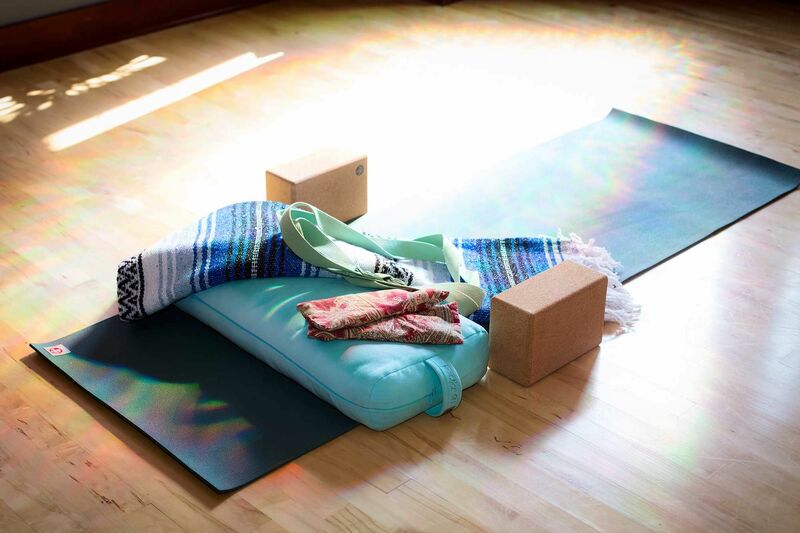 We supply yoga mats, blocks, straps, bolsters, blankets and meditation cushions on a first come, first serve basis. Feel free to bring your own if you have them. We ask that you please Pre-Register for our workshops. This allows the instructor time to prepare materials and ensure enough space for participants. Most of our workshops require a minimum number of people enrolled for the class to take place. By Pre-Registering we save your spot and you are helping to assure the workshop you are interested in happens. If you’re not able to pre-register, please call us prior to the start of the workshop to determine status and availability. Wonderful instructors and great environment. Best place for yoga or massages in Manitowoc. Balance on Buffalo is an amazing place! The energy is calm and welcoming. I go to Balance as often as possible for massage or yoga. This place stands above all the rest. I had a hamstring injury for months that was healed after 6 visits to Balance. Love this place! Staff. All are kind, welcoming and know their practice. Great atmosphere and facility. The whole experience was friendly, knowledgeable and professional. I have already mentioned it to several people, and will definitely be back in the future to try more classes. A long time customer of Balance on Buffalo. From the welcoming and skilled staff to the classes offered, this place is truly a healing experience. Whether you are seeking a soothing massage or take a class to enrich your spirit, you will not be disappointed.